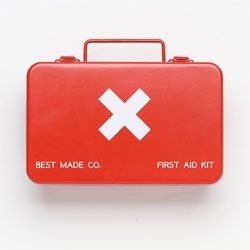 Super cute steel first aid kit box from Best Made. 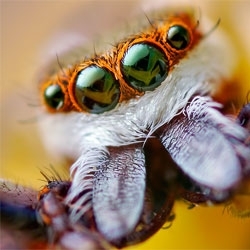 Researchers have discovered a unique visual attribute called image defocus that jumping spiders use in attacking and catching prey, proven in part by spiders jumping with deadly accuracy in green light, but fumbling in red. 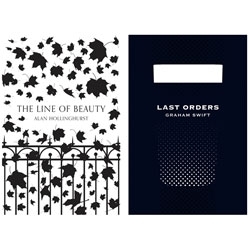 Beautiful new covers for the twelve Picador paperback reissues. FEATUREDShark-filled water slides, cherry blossoms and craft cafes are all a part of this week’s roundup from NotVentures. A gabled house cantilevered over the edge of a 7-story building, the latest from Korean artist Do Ho Suh. Clear for iPhone by RealMac Software finally brings some clever looking UI to the daily To-Do list. The pinch and split is awesome. 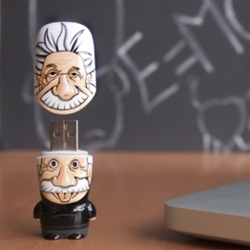 Mimobots go Einstein - The first in a brand-new series of MIMOBOT flash drives from Mimoco honoring iconic figures in history, "The Legends of MIMOBOT Series"
Judy Chicago re-staged her 1968 performance installation 'Disappearing Environments' at the kick-off party for Art Los Angeles Contemporary 2012. 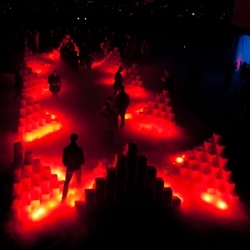 37 tons of dry ice were used, along with flares for dramatic effect and to assist melting. 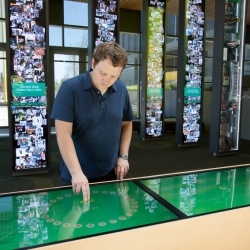 The new University of Oregon alumni center is the school's front door. Second Story's media installations fuel soaring dreams and invigorate appreciation for the history that defined this innovative institution’s culture. 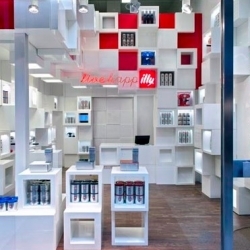 The Illy Café has brought up the Illy Shop as the temporary shop located in Milano. Situated in Galleria San Carlo around the Duomo. 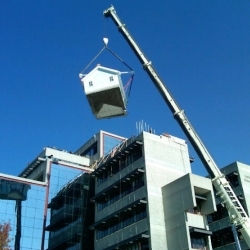 Architect Caterina Tiazzoldi was the designer and architect for this commercial design. 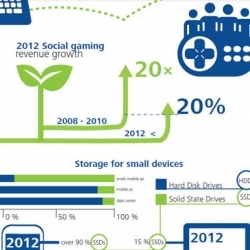 Deloitte 2012 Technology, Media and Telecommunications prediction infographics. A testament to real luxury: The Tiffany Suite at The St. Regis, New York. 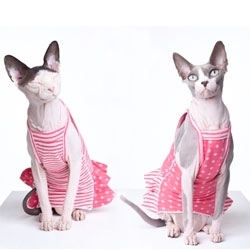 Catty super models Smeagol and Zizzles are taking the internet by storm. 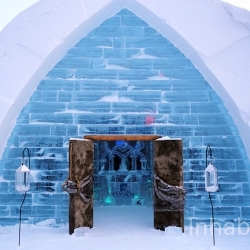 Take a first look inside Quebec's amazing new Hotel de Glace ice castle! 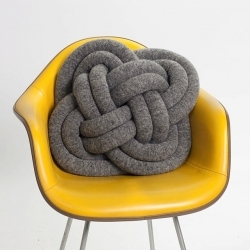 Knots have been tied for thousands of years for fun, use, decoration and now as a pillows. 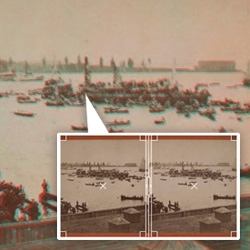 The New York Public Library Labs presents Stereogranimator, a tool that turns their amazing library of stereographs into GIFs and 3D anaglyphs. 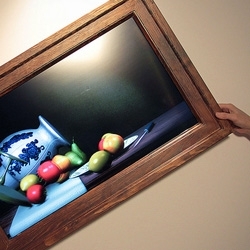 VIDEOStill Life by Scott Garner is a tilt sensitive painting that changes the 3d scene accordingly. This is a refreshing and clever take on the classic still ife. 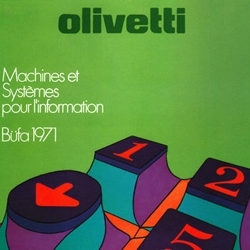 Delicious 1970s illustrated advertising posters and more for Olivetti typewriters in Italy. 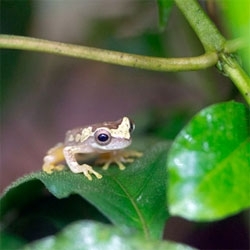 FEATUREDWe take a macro-eye view of some of the incredible creatures at the California Academy of Sciences. 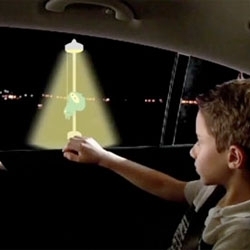 VIDEOThe Windows of Opportunity (WOO) Project, a collaboration between General Motors Research and Development and the FUTURE LAB at Bezalel Academy of Art and Design in Israel. 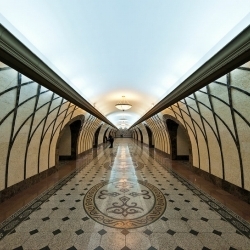 Kazakhstan's gorgeous new subway system, 23 years in the making. Hyperakt rebrand Teachers as part of a challenge from WNYC's Studio 360. 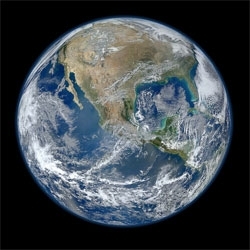 VIDEOGLOBALedit App for Surface at NRF 2012. 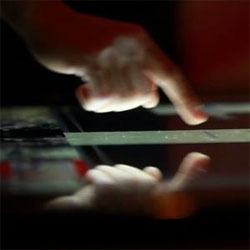 Great digital light table. 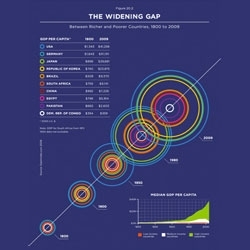 Gorgeous infographics for Norton Sociology by Kiss Me I'm Polish. 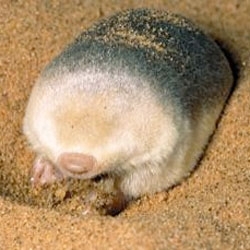 Fascinating new research on the golden mole, the only iridescent mammal may have evolved the iridescent hairs to streamline the moles or repel water, rather than attract a mate. 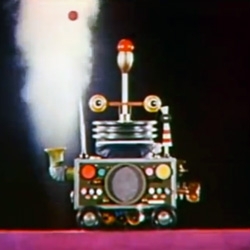 VIDEORobot by Jim Henson was a short made for The Bell System in 1963. 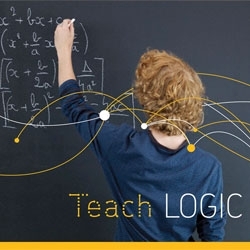 Originally it was created for a seminar on Data Communications, now it's just a gem. 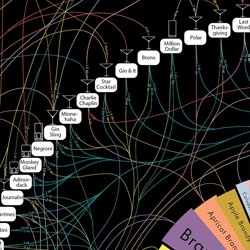 A sneak peek at Pop Chart Lab's 'Cosmology of Classic Cocktails'. 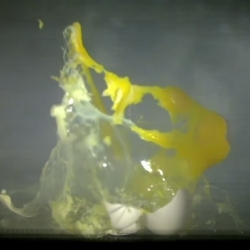 VIDEOEver wonder what would happen if you put a watermelon in the microwave? Or a lightbulb? 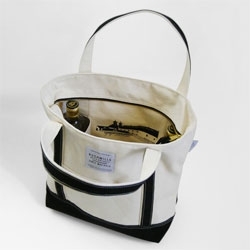 Or a champagne bottle? We slowed it down for you so you wouldn't miss a thing. Real explosions...just not in real time. 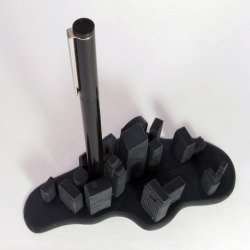 The urban drift desk organizer designed by Rob Southcott. 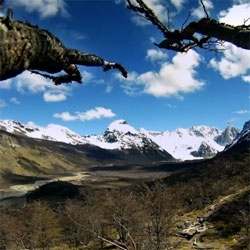 VIDEOBeautiful timelapse of Argentinian Patagonia by Ignacio Leonardi. VIDEOThe Shrewbot, a whiskered robot developed by the Bristol Robotics Laboratory in conjunction with the University of Sheffield's Active Touch Laboratory. 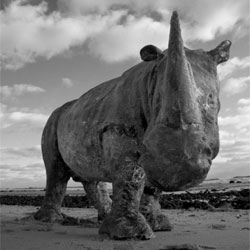 Davis Murphy places casts of rhinos in unexpected places. 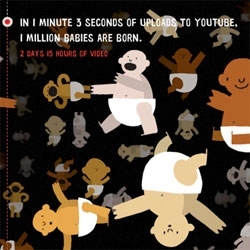 VIDEOEvery second, one hour of video is uploaded to YouTube. That's 24 hours every 24 seconds... or a decade every single day. 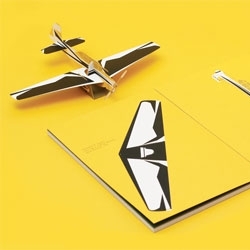 Beautiful Okolo Mollino Book and paper models. Penguin's new edition of Kama Sutra with letterform illustrations by Malika Favre. 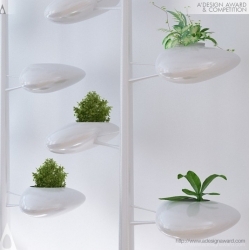 The Live Screen by Danielle Trofe is a sculptural, self-irrigating vertical planter system that is comprised of tiered, organic-shaped pods that can house many different forms of vegetation. 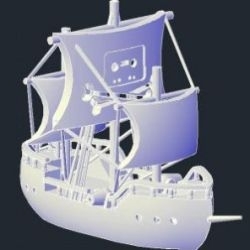 The Pirate Bay launches physibles category for 3D printable objects. 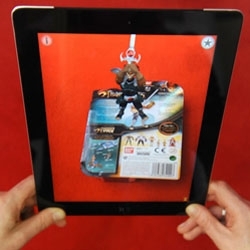 VIDEOBandai use Aurasma 3D AR technology to let children play with its Thundercats toys without having to open the box. 4 meter long scarf and cape. The largest items ever to be embroided out of pure spider silk. 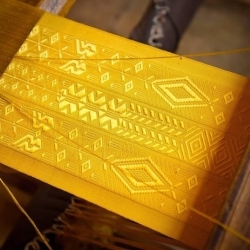 The yellow is a natural hue of the spiders silk. Took over a million spiders and over 4 years to make. 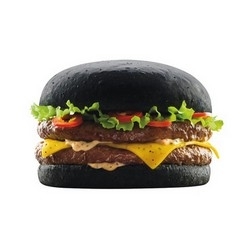 On the occasion of the release of Star Wars: Episode I - The Phantom Menace in 3D, the restaurant chain Quick launch the JEDI Burger, DARK Burger and of course the DARK VADOR Burger... Unfortunately only in France. 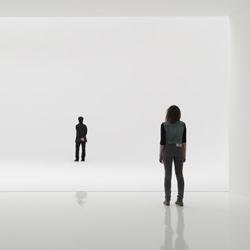 Doug Wheeler's trippy light installation at the David Zwirner Gallery in New York, is the closest thing to floating in a cloud. All sense of depth perception is lost upon entering the space. 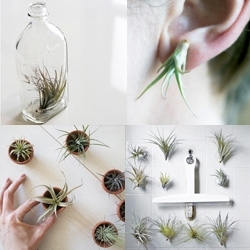 Very cool. 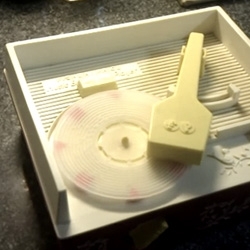 VIDEOThis 3D printed record (for Fisher-Price clockwork record player) plays Portal's "Still Alive" ~ made with Processing, printed at Shapeways - video proof it works! 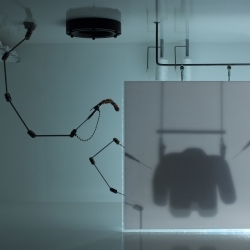 VIDEO'The First cycle' New stop motion animation by Niels Hoebers, made for Fashion designer Borre Akkersdijk. 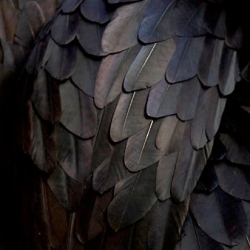 Visualising a creative production process of his latest fashion line. 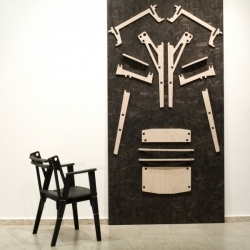 Konstantin Achkov's 'Puzzles for Living,' a series of chairs made of lasercut beechwood parts and assembled like a three-dimensional puzzle.